Bernard “Bud” J. Warnement of Plainwell, MI passed away Monday, September 29, 2014 at Wings Home in Allegan. Bud was born October 21, 1928 in Plainwell, MI, the son of Albert and Evon (Buhren) Warnement. Bud was a 1946 graduate of Plainwell High School. Following graduation he served his country in the U.S. Army during the Korean War. On July 1, 1950 in Otsego, Bud was married to Vivian J. Paddock. For many years Bud was the co-owner of A.H. Warnement Farm Equipment and Repair in Plainwell, selling new and used farm equipment and working as a tractor mechanic. Bud served with the Plainwell Fire Department for several years and with Gun Plain Twp. Fire Department for over 65 years, serving as Chief and Assistant Chief. Bud also served as Gun Plain Twp. Trustee for 40 years. On April 2, 2014 he was honored with a certificate for “Outstanding Achievement” by the Gun Plain Twp. Board. He was a member of St. Margaret’s Catholic Church in Otsego and a member of the Knights of Columbus Council # 7796. Survivors include his wife, Vivian; siblings, Joan Boniface of Delton, Louise Gates of Plainwell, Albert W. (Sally) Warnement of Sturgis and Paul Warnement of Delton; and many nieces and nephews. Bud was preceded in death by his infant daughter, Josephine; his parents and by his brothers Francis and Edward. Friends may meet with Bud’s family at Winkel Funeral Home, Otsego on Wednesday, October 1, 2014 from 2-4 and from 6-8pm with a Rosary to begin at 6pm. A Funeral Mass of Christian Burial will be held on Thursday at 10a.m. at St. Margaret Catholic Church, Otsego, with Rev. Fr. Ted Martin officiating. Burial will follow at St. Margaret’s Catholic Cemetery. Contributions in memory of Bud may be made to Wings of Hope, St. Margaret’s Catholic Church or to St. Margaret’s School. Albert A. 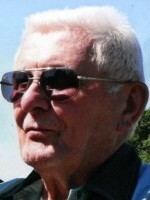 “Big Al” Wason of Otsego, MI passed away Thursday, July 19, 2012 at his home. Albert was born July 11, 1939 in Plainwell to Albert J. and Junerose (Livingston) Wason and was a lifelong resident of the area. Al served his country in the US Air Force. For 43 years he was employed with Plainwell Paper Co., retiring as a millwright in 2000, and had served as President of the Plainwell Paper Co. United Paperworkers Union Local No. 1062. He had also served as head of the Otsego Township Planning Commission. In his leisure time Al enjoyed farming, baseball, traveling, U.S. History and reading westerns. On September 10, 1960 in Otsego he married his wife of 51 years, Mary Pittner, who survives. Also surviving are his son and two daughters, Randy (Kim) Wason of Kalamazoo, Lisa (Steve) Peet of Portage and Melissa Chavez of Crivitz, WI; his grandchildren, Trevor and Rachel Wason, Emily, Ashley and Daniel Peet, Tristan and Noah Chavez and Ridge Oisten; brothers, Larry and Robert Wason, sister, Dian Florian; numerous cousins, nieces and nephews. He was preceded in death by his parents; sister, Harriet Bolhuis; a sister-in-law, Jane Pittner and nephew, Scott Kraft. Friends may meet with his family from 2 to 6 P.M. Sunday at the Winkel Funeral Home, Otsego, MI. A memorial service will be celebrated at 11:00 A.M. Monday at St. Margaret Catholic Church, Otsego, Deacon Dean Herman celebrant. Military Honors will be conducted by V.F.W. Post #3030. Cremation will follow. Contributions in memory of Al may be made to St. Margaret’s Catholic School.